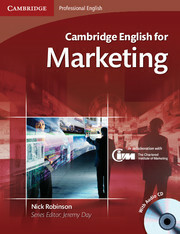 Cambridge English for Marketing covers a wide range of marketing topics, from understanding the role of marketing in an organisation through to launching a new product. The ten standalone units allow learners to focus on the areas of marketing most important to them and as well as teaching specialist vocabulary and marketing theory, the course also develops job-specific skills such as carrying out marketing audits, preparing marketing campaigns, organising events and developing digital marketing strategies. The course requires no specialist knowledge on the part of the teacher and comprehensive teacher's notes are available online. Authentic contexts prepare marketers for the situations they will face in real life. Units focus on the functions students need to carry out in their jobs. Provides practise of, for example, preparing briefs, planning marketing campaigns, carrying out SWOT, PESTEL and Five Forces analyses, running focus groups, organising events and exhibitions, etc. 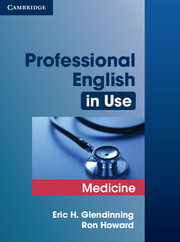 Audio CD provides listening practice. Online Teacher's Notes are available to download for free.